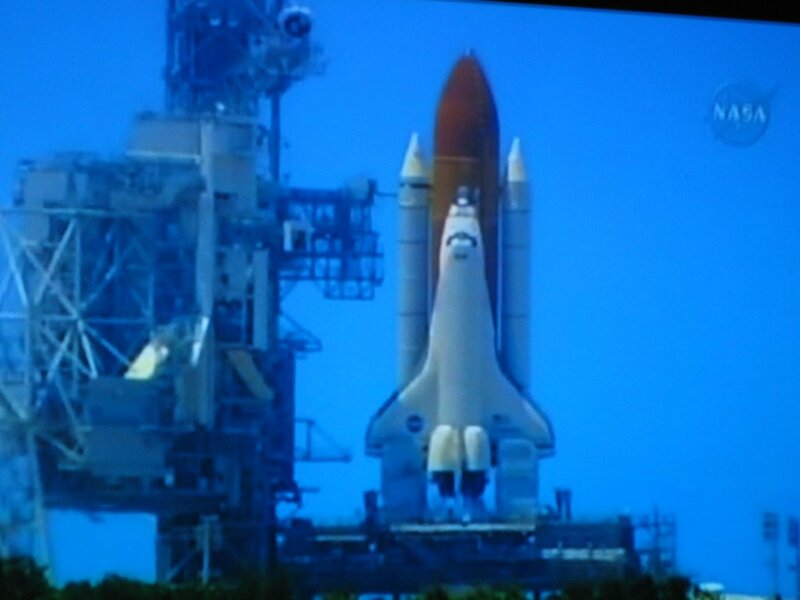 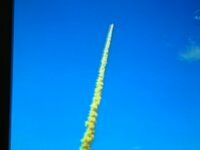 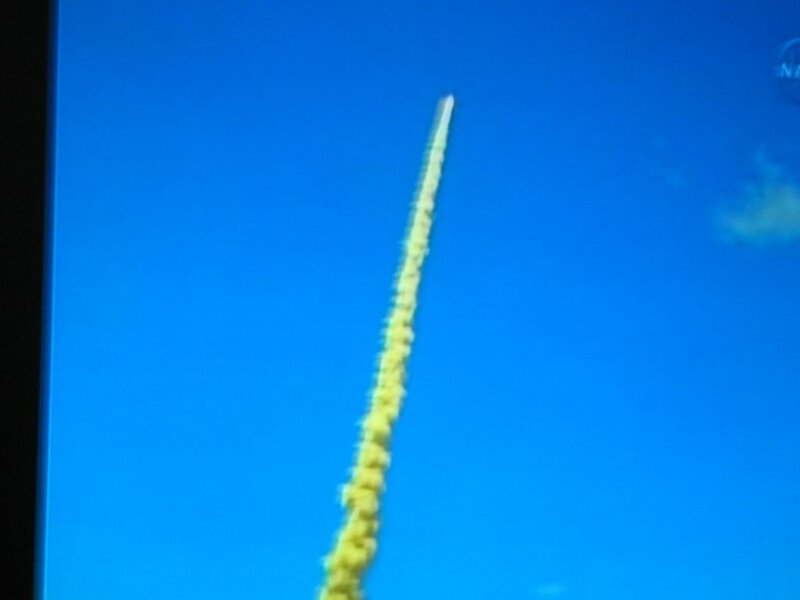 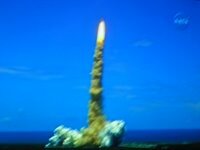 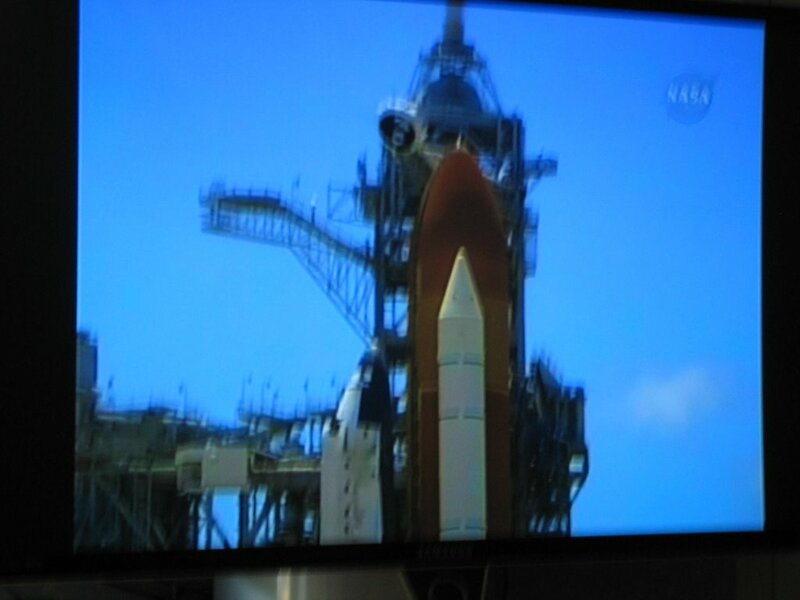 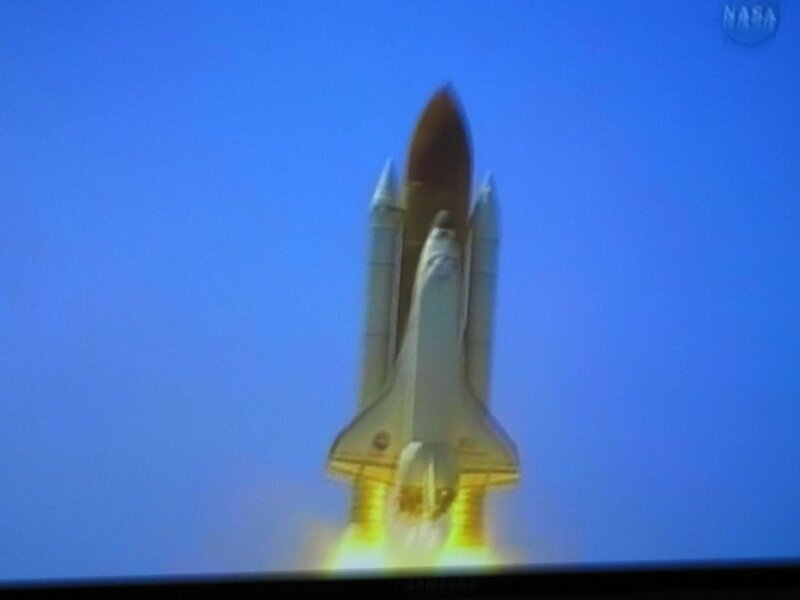 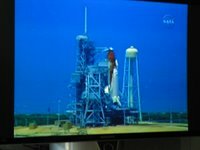 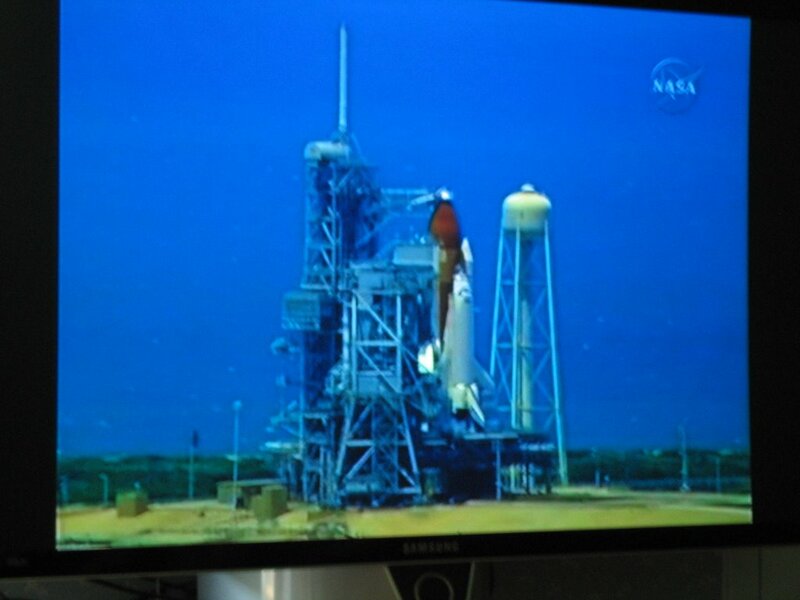 Watched the launch of the space shuttle Discovery (STS-121) at the relatives. 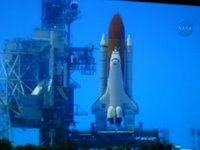 They have a big screen TV and I took these pictures with my camera sitting about ten feet away. 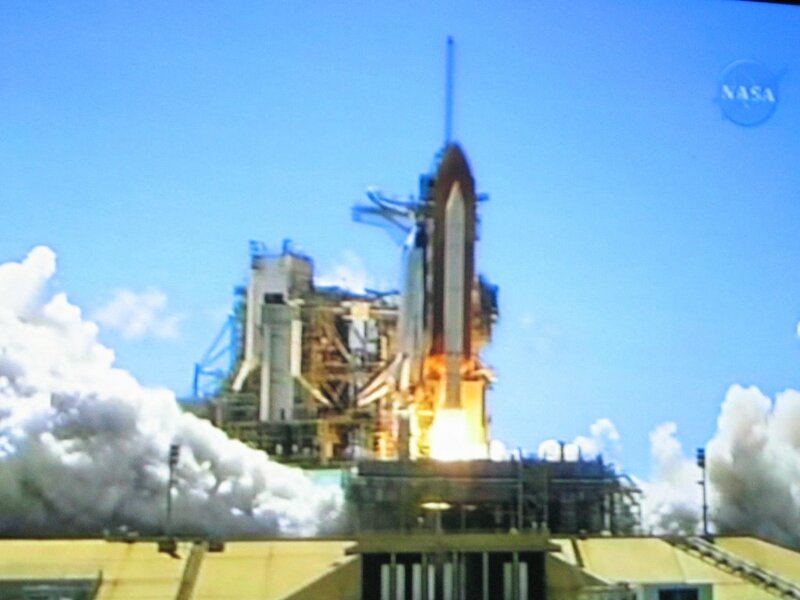 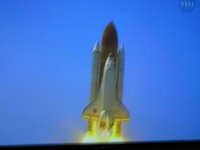 The shuttle launched on July 4th at 2:38PM.